Being one of the leading importers and suppliers of Baumer Thalheim Incremental Encoder, we offer the product at very reasonable cost and within the specified time frame. There is nearly no domain in mechanical plant engineering where drive technology does not take over important control functions and is also used in speed and acceleration control. These products are manufactured using very high quality raw materials and under the supervision of expert professionals at our vendors place. Post procurement, every product is quality tested to ensure its adherence with industry set quality standards. 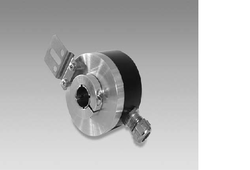 Looking for Baumer Thalheim Incremental Encoder ?